Technically, Lawn aeration is the natural air exchange between the soil and its surrounding atmosphere. Practically speaking, core aeration, as it is commonly called in the lawn care industry, is the process of mechanically removing small plugs of soil and thatch from the lawn to help improve natural soil aeration. Core lawn aeration can make your lawn healthier and reduce maintenance at the same time. Have a quick look at this list of benefits we’ve put together, telling you how. Improved fertilizer penetration into the root zone. Higher tolerance to heat and drought stress. Improved turf thickness and overall health. The type of equipment used can determine how effective the treatment will be. The best results come from using equipment with core holes that are close, deep, and hollow. The hollow tines remove the soil cores or plugs. The size of the tines can vary in size up to 3/4 inch in diameter and in penetration depth up to 4 inches, depending on the equipment used. Aerators are large, heavy machines. They require special handling and larger vehicles for transport. Where To Get An Aerator? Aerators can be rented at many garden or rental centers. Busy rental times include most spring and fall weekends. You might want to plan ahead and reserve early or plan on a weekday to avoid disappointment. Be sure to get a machine with the hollow tines to bring the soil core to the surface. Also, look for machines with deeper tines and weight over the tines for better penetration. Before you bring a rental machine home, be sure you are instructed in and comfortable with the operation of the aerator. If handling this large piece of lawn equipment is a bit daunting, don’t forget that most lawn care companies will provide the service for a fee. Some treatments are best left in the hands of the professionals. Most home lawns have insufficient topsoil due to it being removed during construction or even buried during excavation of the basement or footings. 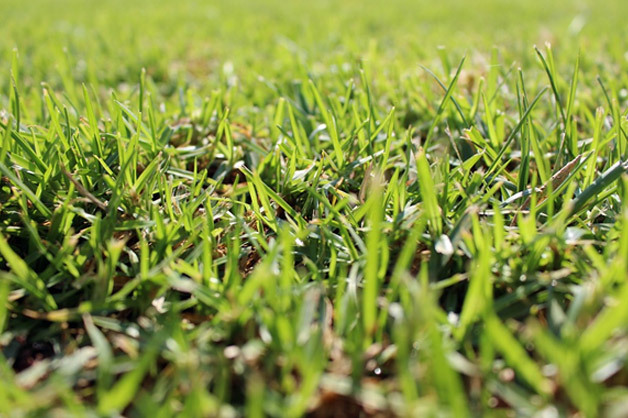 Unfortunately, the grass is forced to grow in compact subsoil that is higher in clay content and less likely to sustain a healthy lawn. The soil becomes even more compacted from walking, playing and even mowing. Rain and irrigation compact the soil even further and reduce air spaces where the roots grow. This compaction is greatest on heavier clay type soils as opposed to lighter sandy soil and mostly affects the upper 1 to 1 1/2 inches. Lawn Aeration relieves soil compaction which allows your grass to grow deeper roots by allowing air, water, and fertilizer to reach the root zone. This all stimulates good root development which is the key to a healthier lawn with strong turf grass plants. Almost any lawn care professional will try to sell you an annual lawn aeration. 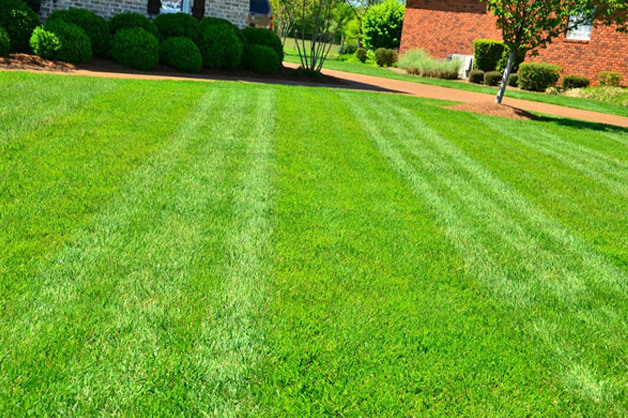 If the lawn is frequently used or is growing on heavy clay or subsoils, they may even suggest that your lawn would need more than one aeration each year. Jim and I rarely make those recommendations. Common sense and experience have proved to us that while an aeration is done each year certainly won’t hurt the lawn, it’s usually unnecessary. Every second year is normally all that’s required. What’s The Best Time To Aerate Your Lawn? The cool season turf grasses, like Kentucky bluegrass or perennial ryegrass, can be aerated in either the spring or fall. If aerating in the spring, time it somewhere between late March and May, always being careful not to be on the lawn too early if it hasn’t dried up properly. If aerating in the fall, plan between August and November. It’s best not to aerate when warm season grasses have gone dormant as it may encourage weeds. You want to avoid aerating warm season grasses during spring green-up. It’s best to wait until after the first spring mowing. With the increased interest in underground sprinkler systems, it’s vital that you mark all sprinkler heads and shallow lines to ensure you don’t damage them with the aerator. Likewise, consideration needs to be given to underground utilities, cable, and septic lines so that they won’t be damaged either. Plan to aerate your lawn in at least two different directions to ensure good, even coverage. Also, be very careful on slopes, especially steep ones, as well as near buildings and landscape beds. In one of our very early years in the business, one of our employees ran one of our aerators too close to a commercial building and broke a large window. Co-ordinating your lawn aeration at the time of fertilization will help the lawn compete against weeds, as well as help root growth and improve spring green-up. If you’re planning any broadcast overseeding, doing it immediately after an aeration provides a great opportunity for a higher percentage of germination as the new seed finds it’s way to a good bed created by the holes. Watering the lawn after an aeration is key, especially in areas that are prone to drought and high temperatures. Encouraging the roots to go deeper for water gives your lawn a better chance to survive when drought conditions hit. Installing a water hose timer will ensure that the watering happens on a regular schedule. Once the aeration is complete, your lawn will be dotted with small plugs that have been pulled from the soil. Within a week or two, they should break down and disappear into the lawn. For those of you who can’t wait that long and find the appearance of the plugs to be unsightly, you can always run the push reel lawn mower over them. The aeration holes will be starting to fill with white, actively growing roots in about 7 to 10 days. This is a good sign that confirms that the turf grass is getting additional oxygen, moisture, and nutrients from the soil, which is exactly the goal of lawn aeration. Like a proper lawn mowing schedule with a good self-propelled lawn mower, lawn aeration also helps build a healthier, stronger lawn, having fewer pest problems, which is easier to maintain and enjoy.